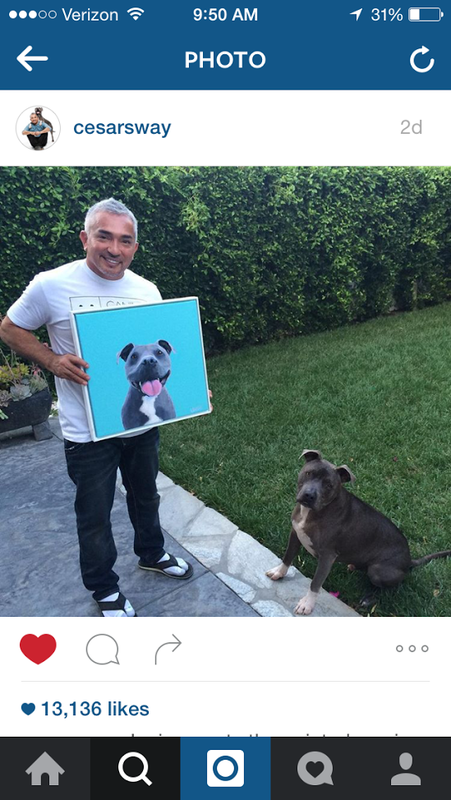 The painting was shipped last week…..
AN THIS PAST Friday….this popped up on Instagram! 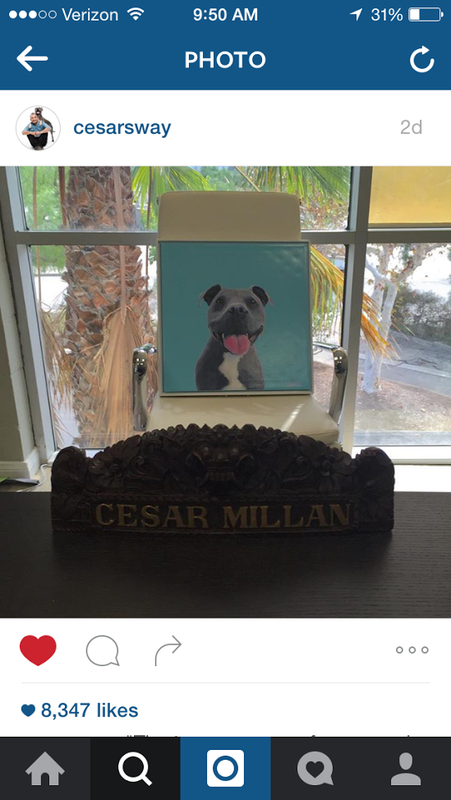 CESAR MILAN DISPLAYS HIS NEW PORTRAIT! …NEEDLESS TO SAY…I WAS/AM/MIGHT NEVER STOP BEING… OVER THE MOON!! DOING A HAPPY DANCE…BESIDE MYSELF!!!! LATER THAT EVENING…..WE WERE CELEBRATING MY SON’S 15TH BIRTHDAY UNDER THE FRIDAY NIGHT LIGHTS AT THE HIGH SCHOOL FOOTBALL GAME AND…MY PHONE LIT UP AND…. WOW!!! NO, NO – THANK YOU CESAR….I AM OVERWHELMED with gratitude for being included in the UGALLERY project!!! AND WILL YOU JUST LOOK AT HOW CUTE JUNIOR IS!!!! THEN…CESAR told ME that he plans to put it in his office!!! THANK YOU UGALLERY!!!!! WHAT A DAY!!! ….stay tuned…without spilling the beans….this is just the beginning! AND WHAT A PERFECT PLACE TO START!!!!!!! Know you must be totally thrilled!!!! Thank you Betty! I am thrilled and excited to show you” the next one”…. Yay! That’s awesome news for you. 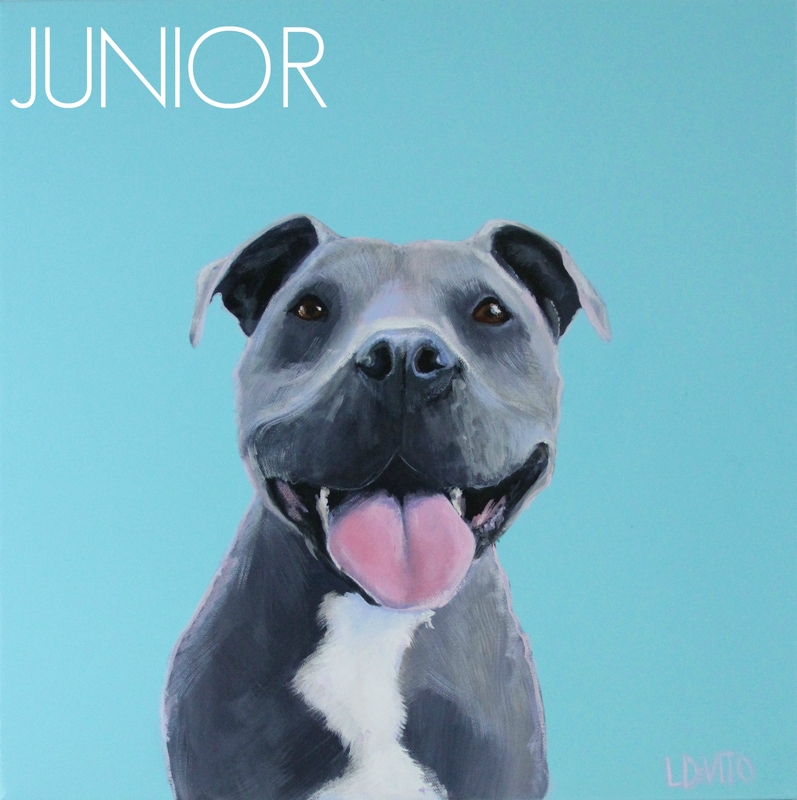 You did a great job on junior. Congrats! That is awesome. Your portraits are the best! Previous Post HAPPY BIRTHDAY COOPER!